hello, friends. i'm c from on-hand modern, a happiness-conscious blog where i write about making and making do with what's on hand. i don't like shopping. (really.) and i don't like spending a lot of money. "can i make this with what i have on hand?" let's first address the issue of time. an on-hand approach to sewing means you don't have to run to the store for supplies every time you get an itch to make something. you can start right now. you don't have to fight traffic, wait in line, drag a reluctant child/spouse down the notions aisle, stand paralyzed with indecision in front of rows and rows of multi-hued fabrics--you get the idea. it also saves time by potentially cutting out time-consuming steps like pre-washing fabric and hemming, but more on that later. now let's talk about cost. sewing with what you have on hand is economical, as well as environmentally responsible. often it involves recycling and re-purposing an item you already own into something new, different, and beautiful. let's consider some possible places to start when taking an on-hand approach to sewing. old clothes are a great resource for free fabric and notions. before you donate an item or throw it away, consider whether you could turn the materials into something else. men's shirts can become toddler pants, for example. flannel pajamas can be transformed into party favor bags. 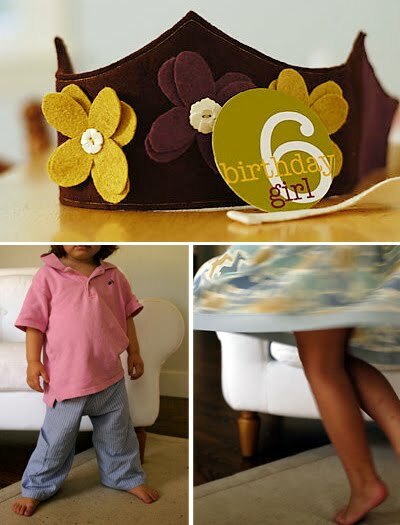 embellishments and buttons can be removed from old clothing and used for other projects--i once cut the drawstring out of a pair of worn-out pants and used it to make a crown for my daughter's birthday. think outside the box. sewing with what you have on hand gives you the chance to get really creative. of course, there will be times when shopping for sewing supplies, including fabric, is necessary. 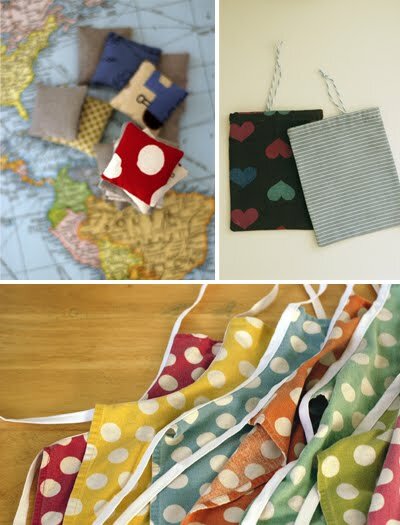 just make sure that when you cut the fabric you save the scraps, which can be used for a variety of future projects. (beanbags and bookmarks are a couple i've blogged.) you'd be surprised at the possibilities--click here for a whole series of ideas from crafty contributors around the world. and that's it. my humble contribution to the sewing 101 series here on PSC. thanks, chris, for inviting me to participate! i hope your readers will share some of their own creative ideas for sourcing supplies and sewing with what's on hand. Thank you, C. Your thoughts on using what you have on-hand really got me thinking as well. Check out on-hand modern. You'll be glad you did. 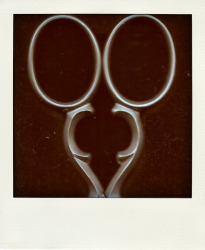 I found your blog through the Girl Creative, and I am your newest happy follower.